Freshwater snail 1/5 inch with cone-shaped shells with 5-6 whorls separated by deep groves. 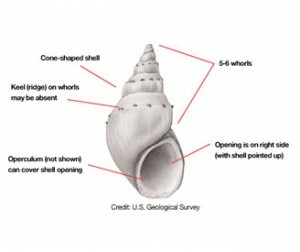 Shell has right handed coiling. They vary in color from gray and dark brown to light brown. 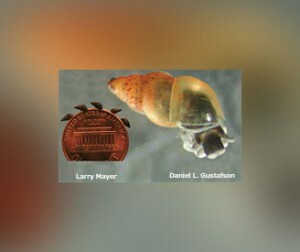 Populations of these snails in North America reproduce as clones. Thrives in disturbed watersheds, and benefits from high nutrient flows. Prefers littoral zones of lakes or slow moving streams. 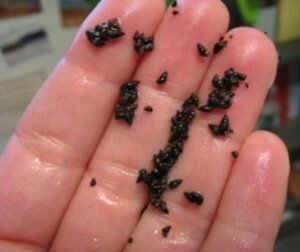 Found in freshwater at the sediment surface or slightly buried. They are not currently known to exist in Nebraska. 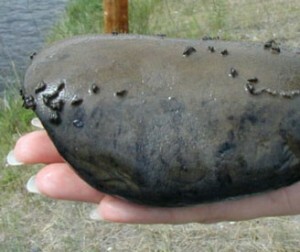 The species has been found in Colorado and the majority of western states. Clean, Drain and Dry all watercrafts, equipment and shoes between uses. 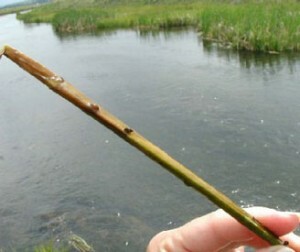 Eggs can be transported and any items which come in contact with a water body. Graze on plant and animal detritus which can reduce food availability for native mollusk species. Can reduce food availability for native and game fish species. Females produce 230 young per year. The eggs can survive passage through guts of fish and can be moved great distances to infest new areas. 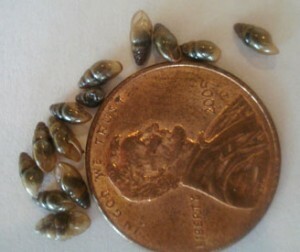 Rapid reproduction and hearty eggs can cause populations of these snails to overwhelm the system.